Because we receive such a large volume of samples and the wait can be quite long, we offer a new, inexpensive “Priority (Sponsored) Review” option. This allows your wine to get priority scheduling on the site (about 3 weeks versus 3+ months) and can optionally include a link of your choice and/or a promotional message (great for retailers). Wines considered for this program must still meet all the normal rating requirements and are not given any preferential treatment in this regard. (There is no charge if a wine does not qualify.) Want to learn more? 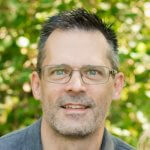 Send me an email at jon@reversewinesnob.com to request our media kit. When I started this site, I have to admit, I was not totally on board with accepting samples for review. After receiving a few (it’s really hard to turn down free wine) I changed my tune. The reason is simple — wineries, PR firms, and distributors have sent me wine that I’ve loved and I never would have found on my own. 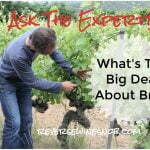 In many cases I think my readers will love this wine too and it therefore deserves a shout-out. So now Reverse Wine Snob accepts actively encourages the submission of wine samples, wine gadgets/gear, food and especially offers of wine related travel because there’s no better way to get to know a wine than to travel to the place where it is made! 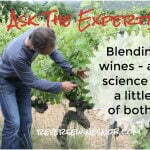 Your wine will be clearly labeled as a sample sent in for review purposes in the review. Value (Cost) ratings will be based on the lowest retailer price for that wine, not SRP. (My readers tend to be savvy shoppers who can find good deals.) This also means you’re safe submitting wines with an SRP up to about $25 for consideration using our Rating System. 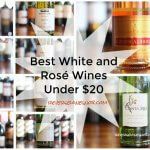 We also encourage you to submit wines with an SRP over $25 for our “Saturday Splurge” series. These will not be rated on our normal scale, but if we like them they will get a “Saturday Splurge” recommendation. Even though I will use actual retail prices for the ratings, please include the SRP of the wines you are sending along with printed tech sheets for each wine! If you include a sticker on the bottle with pertinent info (always helpful) please put it on the back so it does not obscure our bottle shot. Taste ratings will be judged as always and no preference will be given for samples. Acceptance of a sample does not guarantee a favorable review, or that any review at all will be given. I tend to only review wines that I recommend. If you do send me wine, I encourage you to send me the tracking info for your shipment. I’d hate to have your samples sent back due to missed deliveries or other mishaps. And if you have the option, we greatly prefer that you ship via Fedex. As temperatures heat up over the summer, I strongly recommend that you do not ship in July and August. If you must, please contact me prior to shipping. Sending two bottles of each wine submitted is always helpful but is not required. And finally, as noted above, we also accept samples and offers of wine-related products, food and travel. (Offers of wine related travel are ideally for two people — while I’m the writer and primary reviewer, my better half also helps with the reviews and is the photographer.) Contact me for details. Interested? Send me an email at jon@reversewinesnob.com for shipping information! Our high visitor count makes us one of the most visited wine blogs on the web – over 1.6 million unique visitors and 4.5+ million pageviews in 2018! Check out all of our recent media mentions here. 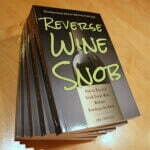 Also, Reverse Wine Snob is now available in book form! 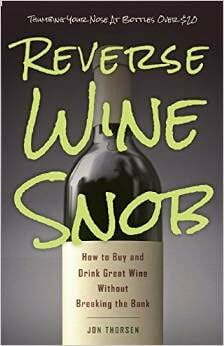 “Reverse Wine Snob: How to Buy and Drink Great Wine without Breaking the Bank” was published by Skyhorse Publishing June 2015 and is available at Amazon, Barnes & Noble (online and stores) and most other major booksellers.